Keeping with Hollywood's bold "more is more" philosophy, the L.A. Times reports that Warner Bros. is "quietly" exploring the possibility of making a prequel to The Shining, Stanley Kubrick's adaptation of Stephen King's novel about the horrors of family vacations. "What if we hire the person who wrote Shutter Island and executive produced Avatar and say it's a 'new take' on a classic people already know? Does that count as doing our jobs?" Warner Bros. executives quietly whispered while tiptoeing around the corridors, hoping that no one would notice them and demand an actual idea or something. While the project is still in the early stages of development, its nascent premise is that the film would explore what happened at the Overlook before the Torrances arrived—horrible things that were already creepily, effectively hinted at in both the novel and original film, but which would here be spelled out into the "haunted hotel" franchise they have always demanded because it would be easy. 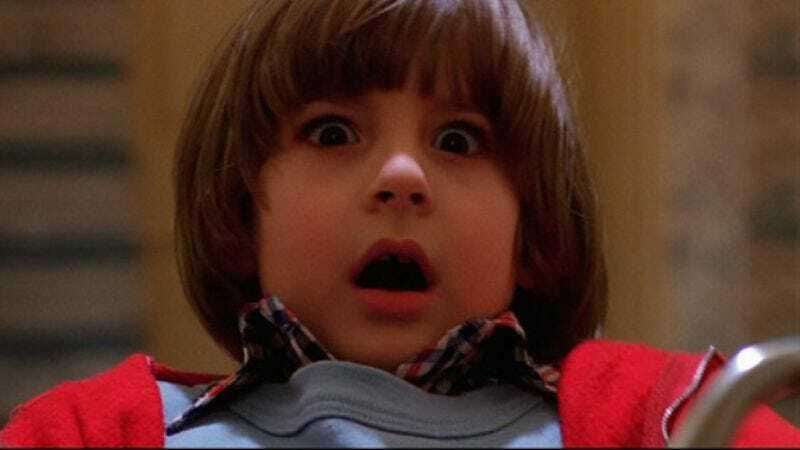 Of course, should it come to fruition, it's possible that a new Shining prequel could also tie into King's own previously announced sequel Dr. Sleep, with all its inclusion of vampire pirates and other things that seem like a blatant appeal to have it optioned for a movie before King even finishes writing it. And then today would be the day that The Shining suddenly turned into a trilogy, like the storytelling equivalent of just typing "All work and no play makes Jack a dull boy" over and over.